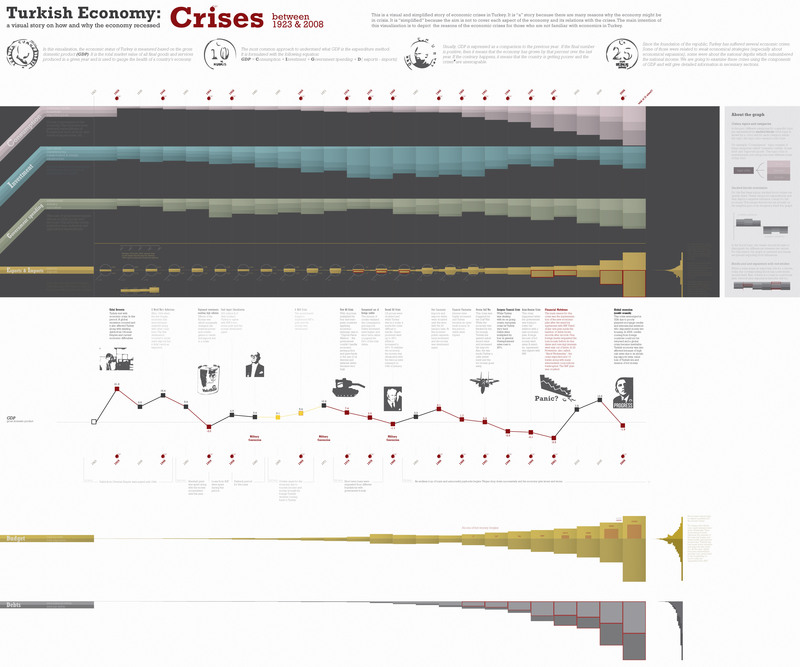 This is a compilation of charts and infographics examining economic crisis in the history of Turkey between 1923-2008. The project is on hold due to unavailable data resources and collaborators. I would definitely want to work with one or more economists who are also knowledgeable about the history of Turkish economy. You can look at these charts as a preliminary work – where only GDP, budget, funds, import and exports values are reliable.